In a twisted social experiment, a group of 80 Americans are locked in their high-rise corporate office in Bogota, Colombia and ordered by an unknown voice coming from the company's intercom system to participate in a deadly game of kill or be killed. Download The Belko Experiment in Digital HD from the iTunes store. The Belko Experiment images are © Orion Pictures. All Rights Reserved. 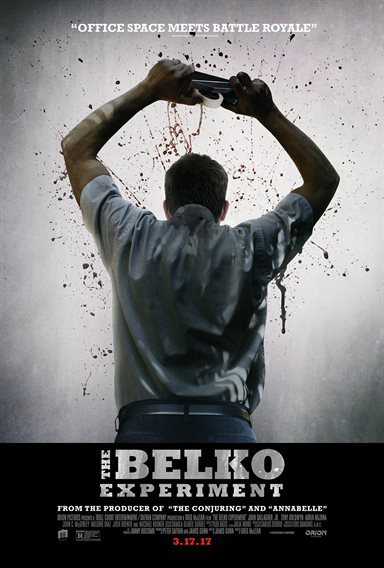 Welcome to The Belko Experiment. Brought to you by the Belko corporation. A look into the human psyche when survival is on the line. Your participation is welcome. All you have to do is be the last one to survive out of your co-workers. It is with this premise that one finds itself watching The Belko Experiment, a film from the mind of James Gunn (Guardians of The Galaxy) and director Greg McLean (Rogue). With it's simplistic plot the film starts out as another day-in-the-life in the corporate world film just like other films and televisions shows that have come before it (ie Office Space, The Office). However one can tell there is something off about the Belko Corporation, and just fifteen minutes into the film we find out why. The corporation is not who they pretend they are and is hiding a deep seeded agenda of social experimentation to the death. From there on out for the duration of the film it is just a hyper-realized mayhem of death and destruction that takes places in very dark and claustrophobic spaces that director Greg McLean uses to provide the maximum amount of thrills. For a low budget thriller film, the cast is quite amazing including John Gallagher Jr. (The Newsroom), Adria Arjona (Emerald City), Tony Goldwyn (Scandal), and Michael Rooker (Guardians of The Galaxy), and John C. McGinley (42). As one might expect from this cast they play their roles brilliantly and give more believability to the film. The cast and script keep you guessing who will survive by the end of the film which keeps you on the edge of your seat until the credits role. Tony Goldwyn gives a great commanding performance as one would expect, Michael Rooker goes against his usual typecasting, but the real breakout stars are John Gallagher Jr. and Adria Arjona as they give portray "everyday" people that are caught up in an insane situation. Advertised as Office Space meets Battle Royale, The Blu-ray disc even comes with a picture of a bloody red stapler on it perhaps as an homage to the cult classic Office Space. 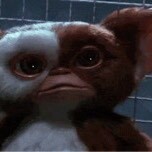 The video is encoded in a 1080p AVC 2.40:1 aspect ratio. While there is very little artifacting the transfer is a bit hindered by some dimly lit scenes that produce some blacks that are not true. Colors are also a bit off in these scenes providing the audience with an uneven viewing experience. The audio presented in a DTS-HD Master Audio 5.1 track vastly adds to the overall watching experience. Channels are separated perfectly and add a claustrophobic feeling to all the activities seen on screen. In the way of extras, The Belko Experiment is a bit lacking in this department. The Blu-ray disc proves a small featurette, Rules of the Game: The Secrets Behind The Belko Experiment, five minutes worth of deleted scenes, a still gallery, the theatrical trailer for the film, and a cute bunch of shorts created in claymation entitled Lee Hardcastle's Survival Tips that showcase some scenes from the film. While The Belko Experiment will never be anything more than a cult classic film it provides a nice escape for its runtime of 88 minutes. James Gunn and director Greg McLean have created a fun film that anyone who works in the corporate world should see at least once in their life. Finally getting a chance to watch this film.